The treasure hunt will take place Wednesday 31st August 2016. Grand prize: Luxurious king-size Travelodge Dreamer Bed and runner-up prizes of UK family weekend breaks. To celebrate the official opening of its first hotel in Poole, Travelodge, the UK’s first budget hotel chain, is hosting an action packed, interactive treasure hunt for local families. The treasure hunt, will take place on Wednesday 31st August 2016 at midday, starting at Poole Travelodge on Lifeboat Quay. The event is being organised by CCC Events who are the UK’s leading treasure hunt organisers and have been developing global hunts for the last 26 years. The Travelodge Poole treasure hunt will be an interactive, action packed, full of adventure experience. Participants will be given top of the range technology and GPS mapping to guide them through exciting challenges around Poole. Over a three hour period, treasure hunters will engage with costumed characters in set locations and complete hilarious photo challenges to gain the maximum points for their team. The treasure chest for the winning family includes a bespoke luxurious king-size bed called the Travelodge Dreamer and a UK family break. There are also two runner-up prizes of a UK family break for the families that come in second and third place. The bespoke Travelodge Dreamer bed is predominately used by luxury hotels worldwide. The bed is produced by royal warrant holders Sleepeeze Ltd who are renowned internationally for their experience and craftsmanship in producing the most luxurious beds that money can buy. The company, established over 80 years ago, uses cutting edge technology to create state-of-the-art pocket spring mattresses that help attain a good quality night’s sleep. Entry deadline is 23:59, Tuesday 23rd August 2016. All entries will be placed into a prize draw and ten families will be drawn to participate in the treasure hunt. Families will be contacted via email on Wednesday 24th August 2016. Terms and conditions apply – please visit: https://www.travelodge.co.uk/press-centre/press-releases for details. The bed boasts a 952 pocket sprung mattress and each individual spring is designed to follow the natural contour of an individual’s body in order to provide the correct amount of support and comfort to ensure they receive a good quality night’s sleep. The pocket sprung mattress is also very beneficial for couples sharing a bed as it ensures that each individual is much less affected by the movement of their partner. As part of Legal and General’s (L&G) strategy to expand Poole’s food and beverage offering, the Dolphin Shopping Centre has confirmed it will be welcoming two new food outlets. Visitors to the shopping centre will be able to see one new unit within Falkland Square, which will pave the way for Mexigo, plus American diner, Roxy’s will also open in Kingland Crescent. Work is underway to bring these new eateries to the centre, with Roxy opening on Saturday August 20 and Mexigo opening in time for the Bank Holiday weekend. The Dolphin Centre recently welcomed dessert parlour Sprinkles, which since opening has been a popular addition to the shopping centre. These new food outlets are set to create up to 50 jobs. Commenting on the works, Dolphin Centre manager John Grinnell, said: “This is an important step forward in the future refurbishment plans for the Dolphin Shopping Centre. We expect the additional tenants to have a significant positive impact on the local economy, not only through the creation of new jobs, but to extend visiting hours and develop Poole as a vibrant night time leisure venue. “Although we can confirm that Roxy’s American Diner and Mexigo will be coming to the centre, there is an extensive programme of preparatory work to ensure the fit outs comply with L&G’s sustainability guide. Family-orientated fun and food will be on offer at the Dolphin Shopping Centre’s Taste Festival on Saturday July 30. Over 15 producers of food and drink will descend on Poole for a second year offering a variety of different cuisines, with new names including Templar Wine, Eat Pho, Timmy Chillies and Cherry Tree Preserves adding to the abundance of exhibitors. Caribbean food, Thai dishes and pizzas will be just some of the options on the menu outside the shopping centre in Kingland Crescent. Aside from an exhibition, food lovers will be entertained with cookery demonstrations throughout the day where local chefs will take to the stage and cook up a storm to highlight their skills. The Dolphin is thrilled to welcome back Bini Ludlow from Sweet Cumin who will be cooking up some delicious Indian dishes, along with Andy Chu and Jan from Mr Lees Noodles and head chef Pete Murt from Rick Stein’s Sandbank’s restaurant. There will also be a range of childrens’ activities available, including making a cress head to take home and watch the cress hair grow. John Grinnell, centre manager said: “We’re looking forward to hosting our second Taste Festival. “Food festivals are continuing to grow in popularity, as they give people the chance to sample the latest culinary trends in a really informal and fun setting. The festival is a celebration of this, giving local food traders the opportunity to come together and share their fantastic food with our shoppers. The Dolphin Centre’s Taste Festival is a free event and will run from 10am to 5pm. With temperatures soaring to more than 30 degrees this week, the Dolphin Shopping Centre is delighted to be welcoming its latest retailer Sprinkles. The popular ice cream and dessert parlour is set to open at the Poole shopping centre on Wednesday July 27. Sprinkles submitted its plans to open a new branch earlier this year and work is underway in the unit next to KFC ahead of its opening. Sprinkles Gelato, which has eight existing stores in the south of England, sells a range of ice creams, milkshakes, waffles and crepes. 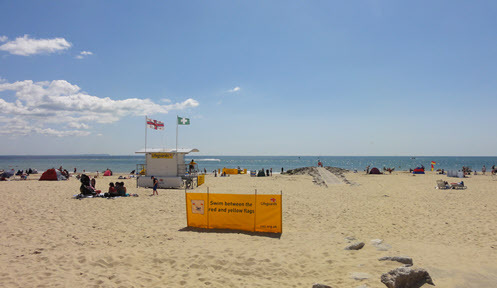 Its existing stores are in locations including London, Brighton, Southampton and Bournemouth. Commenting on the Sprinkles opening, Dolphin Centre manager John Grinnell, said: “We are working hard behind the scenes to expand Poole’s food and beverage offering and are thrilled to be welcoming Sprinkles to the Dolphin Shopping Centre. Located on Alder Road, the newly refurbished Sea Horse Harvester opened to guests on Saturday 9th July following a two-week closure when the work and recruitment drive was undertaken. The new Harvester has capacity for over 170 guests and has created six new jobs in the local area. The new look restaurant has an exciting menu with some tasty new dishes and firm favourites like Harvester’s signature rotisserie chicken and slow cooked ribs, served with a choice of sauce and side, plus the unlimited Salad Bar Harvester is famous for. The Sea Horse will be the perfect place for friends and families to spend quality time together over a great tasting meal. The Harvester has also introduced a cask ale range to improve its bar area for any guests looking to have a few drinks with friends. “The restaurant looks fantastic and guests have already been very complimentary about the new look and menu. At Harvester we want to create a welcoming and relaxing place that dishes up feel-good food, and we’re thrilled to be providing Sea Horse with a revamped restaurant and some delicious new dishes. “At Harvester, we understand the importance of creating places where people can get together and share good times. This is why we’ve added great new sharing dishes to our menu and reworked our space bringing in larger tables and circular booths that everyone can gather round in. We’ve also introduced an exciting new sauce bar that has a variety of tasty sauces to choose from. Volunteers in Poole are encouraging people to look after their eyes, by taking to the streets with their white sticks. The White Stick Walk, which will take place on 29th June, will be to raise awareness of the biggest cause of sight loss in the developed world – age-related macular degeneration (AMD), which affects more than 600,000 in the UK. The walk will be staged by Poole Macular Support Group to mark the second annual Macular Week, organised by national sight loss charity the Macular Society. The walk will start from the Dolphin Shopping Centre at 12pm. Following a stop at the Spire, walkers will make their way back along the High Street. Participants will talk to shoppers about the significance of the white stick and also about macular degeneration, as well as hand out leaflets to encourage people to look after their eyes. The walk will be supported by members of the Rotary Club to make sure that they all complete the walk safely. Peggy, who is a volunteer at one of the Poole Macular Support Group, one of the Macular Society’s 300 local groups, said: "AMD is becoming more common because it's largely a condition associated with ageing. It is a devastating condition, with late-stage macular degeneration, you can't see faces, you can't read, you can't see the food on your plate and you can't drive. Macular Week will take place from Monday 27 June to Sunday 3 July. As well as raising awareness, the week aims to highlight the importance of looking after your eyes as well as raising funds for research, which could eventually help to find a cure for macular disease. The Dolphin Shopping Centre in Poole is to host a cycling endurance event on Saturday July 2 to raise funds for local charity Waggy Tails Rescue. Earlier this year the Dolphin Shopping Centre launched a year-long fundraising drive for Waggy Tails Rescue and, as part of this drive, a team of volunteers at the charity are set to don their cycling shorts and use pedal power in an attempt to complete a distance of 250km and raise worthwhile funds. The 250km target relates to the number of dogs the charity re-homed in 2015 and the challenge will start at 10am. The team of volunteers will be joined by the Mayor of Poole, Councillor Xena Dion, who will be aiming to help the charity with its target distance. Local construction company Stepnell has started work on a £4.2 million contract to build a state-of-the art new clubhouse for Parkstone Yacht Club on Pearce Avenue in Parkstone, Poole. 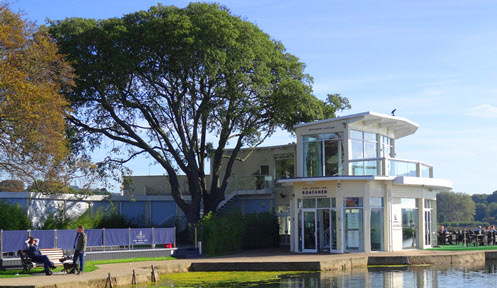 Parkstone Yacht Club, which was formed in 1895, provides recreational sailing facilities to 2,800 members including around 480 youth sailors between the ages of four and 18 who are mostly locally based. Its current building, which dates from the 1930s has now been outgrown, despite many alterations and refurbishments over the last 80 years. Stepnell will design and build a smart new three storey facility with flexible accommodation which can be adapted to support a wide range of sailing events. The new building will feature social function facilities, a restaurant and bar, and conference and committee rooms. The clubhouse will also have external terraces overlooking Poole Harbour giving spectators a bird’s eye view of the Club’s sailing events. Stepnell is installing photovoltaic solar panels on the roof of the building which will help keep the building’s energy costs down. A publisher with confidence in the future of local news has announced plans to launch a new weekly newspaper in Dorset. Although the local newspaper industry has suffered a period of sharp decline, the owner of new title Poole Chronicle is confident the fresh brand can buck a trend that has seen 20 per cent of local newspapers close over the last decade. deliver the right mix of local content, can still look forward to a bright future. Mr Moran said: “We aim to buck the trend and show that there’s still a viable market for the right local weekly. than 10 per cent in 2013, according to the National Union of Journalists (NUJ) - and declines have continued to be recorded almost across the board ever since. Around 20 per cent of local newspapers have closed across the UK since 1996, with just 70 new launches. The Poole Harbour Boat Show, in association with Sunseeker, has come to an end for a second year with thousands of people flocking to Poole Quay and Poole Quay Boat Haven. Over the three days, visitors descended to the free event to check out the latest sports boats, RIBs, chandlery products, clothing and watersports accessories, with big names including Sunseeker, Princess, Beneteau, Bayliner and Windy. Organised by the team at Poole Harbour Commissioners (PHC) and the award-winning Poole Quay Boat Haven, former British rower and five-time Olympic gold medallist, Sir Steven Redgrave CBE, officially opened the south coast’s boating festival on the Westover Group exhibition stand in front of show sponsors, business representatives and members of the public. To continue opening celebrations, a spectacular fireworks display sponsored by Sibbett Gregory lit up the Quay on the Friday evening, kicking off a full weekend of entertainment which included a variety of on-the-water displays, tall ships and live music on the ‘Sunseeker Sessions – Great British Performance’ stage. Chief executive of PHC, Jim Stewart said: “Last year’s show received such a lot of positive attention that it became clear that Poole Harbour needs a dedicated annual boat show. This year we held the event over three days, and despite the wet weather on the Saturday, we still welcomed several thousands of visitors and with significant boat sales reported. “The event wouldn’t be possible without our show sponsors and media partners, and we wish to extend our thanks to Bates Wharf Marine Sales, British Marine Wessex, Coleman Insurance, Conker Spirit, Elite Signs, law firm Humphries Kirk, MS Amlin, PKF Francis Clark with Princecroft Willis, PSP Logistics, Sibbett Gregory, Sunseeker, Westover Group, Bournemouth Daily Echo and Wave 105. Next year’s Poole Harbour Boat Show, in association with Sunseeker, will be held on 19, 20 and 21 May 2017 and will incorporate the prestigious European Maritime Day. Former British rower and five-time Olympic gold medallist, Sir Steven Redgrave CBE will officially open the 2016 Poole Harbour Boat Show, in association with Sunseeker, on Friday May 20. Organised by Poole Harbour Commissioners, the show is proud to welcome Sir Steven Redgrave to open the three day extravaganza (May 20 to 22) which will bring together a spectacular showcase of yachts and motor cruisers, tall ships, marine equipment, watersports gear and clothing, with on the water demonstrations, fireworks and live music. Having set out to win three Olympic gold medals at the beginning of his career, Sir Redgrave went on to win an incredible five golds in five successive Olympic Games from 1984 to 2000. Since retiring from competitive sport, Steve has put his efforts into establishing the Steve Redgrave Fund which aims to use the power and inspiration of sport to bring positive change in the lives of disadvantaged children, young people and their communities. Since launching in 2001, the Fund has raised more than £5 million. Sir Redgrave will be guest speaker at the show’s VIP lunch reception where sponsors, business representatives and media will be in attendance. As an ambassador for Jaguar Land Rover, Sir Redgrave will make an appearance at one of the show’s sponsor stands, the Westover Group, on Friday afternoon from 3.30pm (timings tbc). There will be a full range of Jaguar and Land Rover vehicles to peruse at the Westover Group stand. Held on Poole Quay and at the award-winning marina Poole Quay Boat Haven, the action will commence on Friday May 20 from 1pm to 8pm where quayside stands will be open to all and pontoon access by invitation only. The show will then continue on Saturday 21 and Sunday May 22, from 10am to 6pm (last access to pontoons is at 5.30pm). The free show is supported by Bates Wharf Marine Sales, Coleman Insurance, Conker Spirit, Elite Signs, Humphries Kirk law firm, PSP Logistics, Sibbett Gregory, Sunseeker and the Westover Group. Media partners backing the show are the Bournemouth Daily Echo and Wave 105. For more information on the Poole Harbour Boat Show in association with Sunseeker, and for a full list of exhibitors, please visit http://www.pooleharbourboatshow.co.uk/. Dorset’s largest indoor shopping venue, the Dolphin Shopping Centre is gearing up to host its spring and summer fashion show programme on Saturday May 7. A series of shows will take place at 11am, 12.30pm, 2pm and 3.30pm and will feature a runway showcasing an array of key trends and looks for spring and summer. Whether it is colourful day time classics, sultry evening wear or beach favourites, shoppers will be able to draw inspiration from the catwalk models to show off the latest fashions from top brands available at the centre. Catwalk looks will be provided by a number of the centre’s popular retailers, including Next, New Look, Beales, M&S, Primark and Burton. Patrick’s, the Ashley Cross based restaurant and bar, is celebrating its 10th birthday in June with a bold new look and menu. The popular venue has been welcoming customers wanting to dine or drink in convivial surroundings since opening in June 2006 and the 1930’s building and former bank already provides the benefit of stunning sash windows and high ceilings. However as proprietor Patrick Michael explains, the team are not ones to rest on their laurels. “We decided our tenth anniversary was a great time to ring the changes and have ended up getting adventurous by opting for bright orange feature walls, contrasting with white brickwork wall paper. It felt like a risk to be this bold but we’re thrilled with the effect and have great feedback with everyone telling us they love it. We’ve also added a chill out area in the bar with a leather sofa and chairs where customers can kick back with the papers or have a relaxed catch up with friends”. The décor is not the only change, as sous chef Nick Lewis who has recently been promoted to become the new head chef explains: “I’ve been at Patrick’s for nearly 10 years and relish this great opportunity. I’ll be keeping all the customers’ favourites including the very affordable lunches and ever popular roasts will be served until 5:00pm on Sundays, and I’ll be adding more traditional classics to the dinner menu with a strong emphasis on fresh, locally sourced ingredients." One thing that isn’t set to change is the fantastic customer service as Patrick himself explains. Patrick’s offers a calendar of cabaret nights, live music and in house DJ playing every Friday and Saturday. Patrick’s Restaurant, Bar and Event Catering can be found at 1 Bournemouth Road, Poole, Dorset, BH14 0EF, call on 01202 734000, www.patricksrestaurants.co.uk. Tower Park-based motor dealership Breeze Volkswagen and local recruitment business TeamJobs have signed a one-year sponsorship deal with the Primera-TeamJobs race team. This exciting collaboration between key local businesses is great for cycling locally and shows the importance business is now giving to this growing sport. The team was officially launched at the Italian Villa, Compton Acres on Wednesday March 16, with TeamJobs as the main sponsor of the 18-strong Primera-TeamJobs race team during the 2016 season. The team will participate in road racing, time trials, mountain biking and BMX racing as well as triathlons at a regional and national level. The team have already had some great results including two wins at Westpoint Crits in the E/1/2 and 3/4 categories. The partnership between Breeze Volkswagen and Primera-TeamJobs reinforces the message that Volkswagen’s vehicle portfolio, including commercial vehicles, are ideal for sports enthusiasts as they have the ability to accommodate an array of equipment such as bikes, wind and kite surf kit. 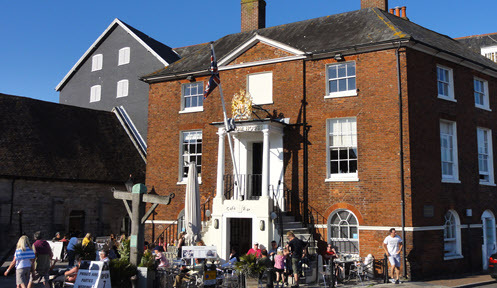 In 1996, the iconic, Custom House building on Poole Quay was transformed by its current owners from tax collectors offices, into a quayside dining, bar and wedding venue. On April 2nd, Custom House restaurant proudly celebrate their 20th anniversary with a series of £20 offers for customers. Custom House celebrations start this April with some fantastic customer offers, and continue throughout the summer with a series of live music events on Thursday evenings featuring seafood dining and bbq and summer fireworks on the quay. Custom House £20 Birthday Offers to celebrate with this April. £20 for a bottle of Raoul Collet champagne during our birthday week, 5th-10th April. £20 pp for steak, dessert and half a bottle of wine in our downstairs bar 5th-10th April. £20 for 2 course meal with a glass of prosecco in our upstairs restaurant– available throughout April. The Antelope Inn, The Old High Street, Poole, has been awarded Kitchen of Excellence Status 2016 by Greene King. The award recognises outstanding guest ratings, high standards of catering, presentation skills and food hygiene along with a food hygiene rating of 5 stars from the local council. The final criterion to achieve the status was an unannounced audit at the pub carried out by Greene King. A free course in Poole will help local people who have lost their sight to regain their confidence and independence. The 'Finding your Feet' course, run by charity Action for Blind People, is taking place at The Bournemouth and Poole College, Community Links Room, North Road, Poole, Dorset, from 10.30am to 3pm on Tuesday 29 and Wednesday 30 March 2016. The two-day course will provide information, advice and practical skills for anyone who has sight loss as well as their family and friends. The sessions will provide people with sight loss advice on a range of essential everyday skills such as how to get around outside, use public transport, cook healthy meals, shop and bank online and even how to make a cup of tea safely. Lizzie Abnett, from Action for Blind People, said: "It can be frightening and overwhelming for someone newly diagnosed with sight loss but practical and emotional support is available. "Being blind or partially sighted does not have to mean losing your confidence or independence. We hope anyone living in Bournemouth or Poole with or affected by sight loss will sign-up to the 'Finding your Feet' course, come and share their experiences with others, and benefit from the wide range of information and advice on offer." Poole has been awash with daffodils this March, and not just those in bloom. Marie Curie’s local fundraising group have been dedicating hours of time and effort, all in aid of the charity’s annual Great Daffodil appeal. The group have raised an astonishing amount of money for the charity in the past, raising a total of £41,525 last year and £87,000 since forming in January 2013. Marie Curie offers palliative care for those who have been diagnosed with a terminal illness, and equally as importantly, support for those closest to them. They have been carrying out this vital work for over 65 years, bringing light to the darkest hours. Just £20 will pay for a specialised nurse for one hour, providing hands on care and emotional support. With an ever aging population, and terminal illness becoming a frequent reality for many families, their cause has never been so relevant or pressing. Poole’s committed team of fantastic volunteers have already made a huge dent in their fundraising total from last year. Every weekend teams have taken to the streets, shops, and local supermarkets along with ‘Curly the Busker’ to collect funds. The group have also made fundraising sweet, hosting charity coffee mornings at 10 of Poole’s local libraries. Even local traders have been getting involved, with the super Superdrug girls selling their yummy cakes at the Poole High Street store. Manned collections alone have already raised £4,525 so far, and this impressive figure is only set to increase. Dedicated Marie Curie volunteers will continue to collect throughout March and April, along with small pin boxes being located at 300 shops, pubs, surgeries and offices around the around the area: so there is still plenty of opportunity to donate. For those who are feeling more daring, the group will also be hosting a Fire Walk on 20th May. Taking place at The Hamworthy Club, fire walking will start at 8pm after a motivational safety talk for those brave enough! Entry fee is £30, and minimum sponsorship is £50, with all profits going straight to Marie Curie. In addition to fundraising events, the group also organise social events and are always happy to welcome new members. Activities being planned for this year include participation in the Poole Carnival Procession, a barn dance,coach outings, water sports, indoor bowls, quizzes, and music concerts. Following a successful golf day in October 2015, Patrick's Restaurant and Bar has chosen again to use their bi-annual golf day to help raise funds for 3 year old Jakob Sales. Little Jakob has a severe form of Cerebral Palsy which means that he cannot stand or sit unaided. Through the incredible efforts of the Dorset Children’s Foundation the target of £65,000 has nearly been reached enabling him to have a special operation in America, known as Selective Dorsal Rhizotomy (SDR) in April. The Dolphin Shopping Centre in Poole has launched a year-long fundraising drive for two local charities – blood cancer charity Leaf and dog rescue charity Waggy Tails. The centre has selected these charities for the ‘amazing work’ they do. Leaf for providing practical, emotional and financial support to blood cancer patients and their families living in Dorset and Hampshire, and Waggy Tails for rescuing and re-homing dogs. Leaf was founded in 2006 by Wimborne resident Natasha Jones, who was diagnosed with leukaemia just weeks after giving birth to her second son. Following her diagnosis, Natasha was placed into isolation at Poole Hospital for six months where she underwent gruelling treatment. She was determined for something positive to come from her experience, and Leaf was set up from her hospital bed. Fortunate to have been given the all clear from leukaemia, Natasha’s charity also provides vital equipment for local hospitals and funds educational courses for health professionals to further their knowledge of blood cancer. Waggy Tails Rescue, which has been a registered charity since 1987, performs a crucial role in saving the lives of abandoned, stray and unwanted dogs. Such animals, who do not find a rescue centre to take them in, are in danger of having only seven to 10 days to live. Waggy Tails Rescue has a policy of no euthanasia for any healthy dog. Even with very sympathetic vets, the medical bill runs at £1,000 per week, plus feed and the rehoming centre to maintain, successful fund raising is therefore critical. Waggy Tails Rescue has a proud record of savings thousands of dogs and other small animals. A recent charity ball took place in a luxury marquee at Bailie House in Sturminster Marshall in aid of the Darcy Ward Foundation. Organised by Partrick’s Restaurant, Bar and Event Catering and JJPR & Events, the evening was a huge success and raised in excess of £2,000 for Darcy, the former Poole Pirates star who has needed serious medical care since his near fatal crash in Poland last season. For further details on The Darcy Ward Foundation see https://pledgie.com/campaigns/30061. Easter craziness is set to descend on the Dolphin Shopping Centre next Wednesday (March 9) for pre-schoolers to enjoy. Little Fins, the free monthly parent and child activity session, takes place at Dorset’s largest indoor shopping venue and an Easter themed celebration will be the focus of the March event. Run by the award-winning Crafty Arty World, the Little Fins activity morning for parents, guardians and little ones will take place from 9.30am to 11.30am. Children will be able to decorate their own Easter eggs, meet Bella the bunny costume character, enjoy the pop-up soft play area with tunnels, tents, rockers and ball ponds, as well as listen to storytelling by an Easter princess. The first 60 people arriving with their little ones will be given a buy one get one free voucher to be redeemed at Starbucks and all attendees will be able to receive 10 per cent off coffee and cake at Druckers. Little Fins will take place in an area outside the Beales department store. Booking is not required to attend. Organisers of the award-winning Poole Harbour Boat Show, the Poole Harbour Commissioners (PHC), are proud to announce a strong line-up of sponsors are confirmed to support the show as it heads into its second year. Leading the prestigious sponsor roster is global brand Sunseeker, which has confirmed commitment for the south coast’s biggest-ever free to attend boat show to be listed as in association with the British luxury motor yacht manufacturer. The Poole Harbour Boat Show, in association with Sunseeker, will take place from May 20 to May 22 (press day on May 20) and through its sponsorship the firm will be providing the ‘Sunseeker Sessions’ live music stage. The stage will be a central feature at the event, showcasing great British performance with musical talent across the region. Coleman Insurance, the Westover Group, Humphries Kirk, Sibbett Gregory, PSP Logistics, Elite Signs and Bates Wharf, with others yet to be confirmed, have all pledged support for the boat show which will be held on Poole Quay and at PHC’s award-winning marina Poole Quay Boat Haven. This year, the show will be hosting a press day on Friday May 20 which will include a business networking lunch at Hotel Du Vin. Law firm Humphries Kirk has come on board to support this lunch which will see the show’s sponsors, local business representatives and press in attendance. Following this, guests to the lunch will gain exclusive access to the marina exhibition and the day will conclude with an impressive fireworks display backed by Sibbett Gregory. For information regarding stand space and opportunities to get involved with the Poole Harbour Boat Show, in association with Sunseeker, please contact John Binder at Poole Quay Boat Haven on 01202 649488 or email info@pooleharbourboatshow.co.uk. The Dolphin Shopping Centre in Poole has donated more than £4,000 to its 2015 chosen charities - Margaret Green Animal Rescue and Julia’s House children’s hospice - raised from a variety of fundraising activities throughout the year. More than £900 worth of pet food was donated to Margaret Green based in Wareham, which is the oldest and largest animal rescue charity founded in Dorset. The Centre held fundraising events throughout the year, and took part in Margaret Green Day, which saw a range of activities take place inside the centre, including foot massages, face painting, pet photography, a teddy tombola and live music from The Mother Ukers in Falkland Square. Margaret Green fundraising and marketing manager, Kate Cross, said: “From all the animals, volunteers and staff at Margaret Green Animal Rescue we would like to extend our sincere thanks to all the customers and staff at the Dolphin Shopping Centre for their tremendous support in 2015. Over Christmas, The Santa’s Cinema event saw three showings a day of popular children’s Christmas films, including Frozen, The Snowman, and Shrek the Halls, raising £1,803.51 for Julia’s House, with donations raised from the centre’s Christmas tree increasing the total to more than £3,000. ‘Women For a Cause’ are hosting a ‘Charity Dinner’ in support of Poole Maternity Hospital to improve the birth experience. The dinner will take place on February 27th, 2016 at 7:30pm at St Georges Hall, Oakdale, Poole. In order to assist Poole Maternity Hospital we have set a goal to raise £2,500 to help improve the birth experience. During this event, our guests will be treated to home cooked Indian curry and traditional live Indian music with dance, a raffle, Henna and Indian handicrafts stalls. We hope you will be able to come and support the host’s sponsored charity, cheer on the raffle prize winners, meet up with friends old and new and above enjoy the evening. Individual tickets cost £20 and table for 6 for a £100! To celebrate some of the finest art available in Poole, discerning collectors and art-lovers are invited to an exclusive event: On 29 January 2016 from 3pm – 10pm Artmental is holding a launch party in their new art gallery at 58 High Street, Poole. Meet our artists over bubbly and canapés. Great art. Great company. Live music from the gorgeous Alice & the Hounds. Artmental is a new contemporary art gallery in Poole High Street, featuring new and vintage art to suit all budgets. We proudly represent local artists as well as internationally recognised painters and photographers, whose works include captivating seascapes, beautiful beaches, sweeping landscapes, nudes, abstracts – and even some bizarre life-size dolls that Damien Hurst would be proud of! You can meet the artist at our regular ArtMeet sessions, Investors can use our personalised ArtHunter service which sources artworks from around the world to suit their own taste and budget. Fine art collectors can also pay for their favourite piece in four easy instalments via our ArtPiece service, and our ArtRental service lets Landlords and Estate Agents hire an artwork for a set amount of time. If you want something for your lounge, your bathroom, your boat or even as an investment, please pop in to Artmental for a coffee and a chat with Jean, Tracy or David. Poole Quay Boat Haven, operated by the Poole Harbour Commissioners (PHC), is celebrating after being named UK Coastal Marina of the Year 2016 by The Yacht Harbour Association (TYHA). The Yacht Harbour Association announced the winners of its Marina of the Year Awards for 2016, which were open to all Gold Anchor accredited marinas in the UK and overseas, at this year’s London Boat Show. To acknowledge first-class customer service, more than 4,000 people voted for up to 150 marinas and commented on why they felt the marina they were voting for was the best. Finalists were then determined by a panel of independent judges who decided the winners based solely on customer feedback. 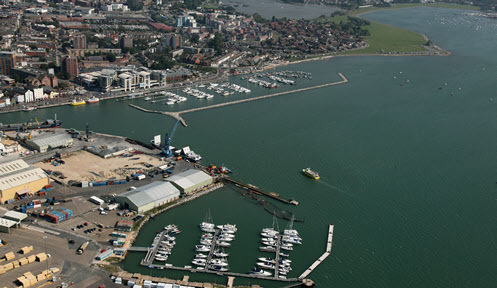 The Poole Quay Boat Haven was recognised as a marina with under 250 berths with the UK Coastal Marina Award. John Binder, Poole Quay Boat Haven marina manager, says: “We are delighted to receive such a prestigious award. Being nominated by our customers is such a special achievement and we are extremely grateful for their on-going support. 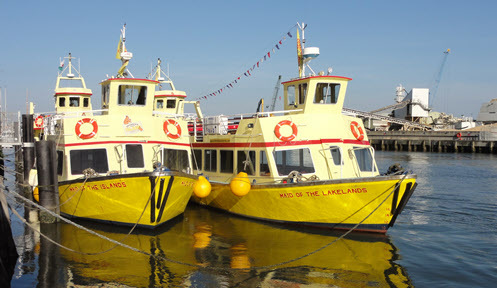 Poole Quay Boat Haven is set to host the second award-winning Poole Harbour Boat Show from May 20 to May 22 and will see hundreds of exhibitors descending on the marina to showcase the latest, motor boats, sailing yachts, RIBS and much more. A new Hungry Horse is coming to Poole and local residents are being given the opportunity to name their latest local, with the winner receiving a £200 gift voucher to spend at the new pub. The family-friendly pub will be located at the Lifeboat Quay and is set to create around 30 full and part time jobs. Hungry Horse would like the new pub’s name to reflect the local area and are asking its future customers to send their suggestions to Superhorse@Greeneking.co.uk with the reason/s it has been chosen. Once open the pub will offer a contemporary look throughout with HD TVs and comfortable leather booth seating areas complete with their own TVs, as well as great value on its wide variety of food and drinks. Marc McGuigan, business unit director for Hungry Horse, said: “We are very excited about this addition to Hungry Horse and to be bringing our family friendly, fun and great value pub to Poole.